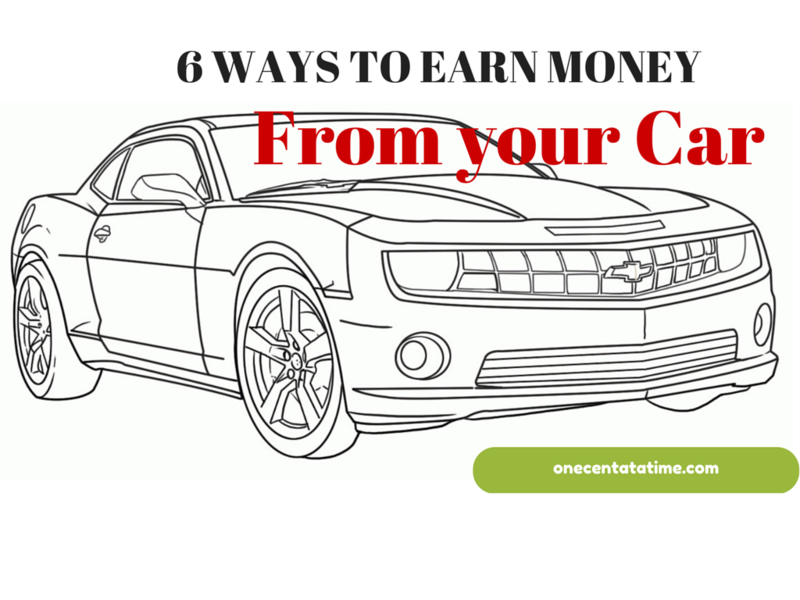 In fact, there are so many ways you can earn money from your car. If you are entrepreneurial enough the earnings can be more than $5,000 per month. There are tons of companies offering paid advertisements on your car. There are agencies who rent out your car parked at the airport. Don’t worry, they’ll find a renter who’ll return the car before you return from your tour to drive back home. There are ways to get fellow rider when you embark on a long-distance journey. You’ll get a company and some handsome cash for extending the favor. One of my colleagues got his life partner from such a rideshare, the price he got for this – priceless, isn’t it? Those ways are very simple and you will not need to take too much effort to earn money from your car. So your car will start helping your budget and it will surely help you to maintain your economic condition in spite of rising inflation. These companies rent out your car to Uber or Lyft drivers so you typically have much longer rentals and a higher daily cost. The Get Around service is a registry of providers and renters. You can list your car for someone to rent it out on days you have no use for the car, earning you some easy money. you can also arrange for a driver and provide a chauffeur driven service to wealthy travelers. Seriously, my friend’s wife does this. She teaches at an elementary school and on her way she picks up kids in her minivan. She earns $5 one way per child. You will have to drop students to school, and after school, you will have to drop them at their homes. You need to be very particular about time. You have to map out your route covering all the homes which reach school in the shortest route possible. You’ll need to be arriving each home to pick up on-time, every day. Like everything else, this method also requires you to have discipline and efficiency at work. You may lose your customers for the lack of discipline. Nobody wants their kid to be at school late. And it costly proposition for parents if their kid stays at school afterward for you being late at picking them up from school. To go this route, ideally, you should be a parent, to earn credibility. You need some social skills and word of mouth advertisements. Start with your neighbors slowly people would turn to you for their drop off and pickup needs. You can start taxi service using your car. (or a delivery service). You’ll need a special license for that though. your driver’s license you not do. Taxi service pays well. Just keeping Taxi board on a top of your car will convert your car into a taxi, no further modification is needed to convert your car into a taxi. If you already have a license then you should complete further legal procedures before starting taxi service. if you happen to live in an area which attracts tourist you can be a weekend tourist guide, I know one such person in Miami, he works as a contractor in our company. He makes good money on the weekends showing tourists the Miami attractions. You can enlist to become a driver for services like Lyft, Uber, and RelayRides, etc. In this way, you will have to do advertising of various products or companies. You will have to put posters of that company on your car. The most preferred position to place posters in a car is on a rare window of a car which is visible to others on road most of the time compared to any other place on your car. So by placing a poster on the rear window of the car will show ads to people. 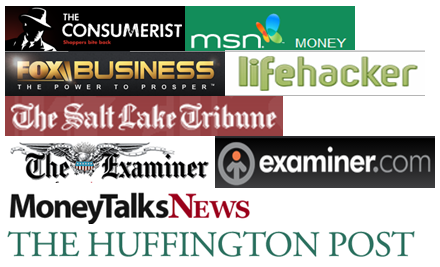 Many companies know that this kind of advertising is one of the best ways to reach to people and hence they give good money for doing such advertising. When chosen by a sponsor, you can approve the visual design that will go in your vehicle. That vinyl graphic will be installed on your vehicle using safe material that will not harm your paint. The advert will stay on your vehicle for the duration of the advertising campaign, sometimes up to 2 or 3 years. You need to adhere to the terms like below. Read more on BBB site for the scams that must be aware of before trying this route. This may require your time as well unless you have someone at home who can do it for you. Many pizza stores hire people who can deliver pizzas. Search for nearby pizza stores and apply for off-hour delivery. Usually, this sector has year-round demand for people with vehicles. If you have time and a car you can earn $10 -$20 per hour by delivering Pizza, including tips. Watch out “now hiring” stores signs. approach your local pizza joints, look for “hiring” notice, check if you have a few hour every day to deliver pizza. Apart from fixed payment, you get to keep the tips. Get a permit and start driving lessons. this again can be your weekend fun activity which could earn you extra money. This can be a sustainable business if you show results. Be a careful and safe teacher. I would have turned in to a weekend instructor had I not have this blog. Our 2002 Hyundai Elantra can be a perfect fit for turning it into a car with two brakes on both front sides. Now that we almost never use it. Which option do you want to choose readers? Not only your car, your parking space can also earn you money, to know about using parking space to earn money read Save money on parking cost. So far I have only though a car as an instrument which loses value over the time. A car is needed only for personal comfort. Now I know useful ways my car be used when I am sitting at home or working in my cubicle. At last, here’s one bonus item. When your car can’t drive anymore and no one willing to buy it, you can still earn money by selling the parts. My old Hyundai Elantra was sick and it needed a $3000 engine work, with a market value under $2,000 we decided to sell it. we got no buyer. at last, we got hold of a mechanic who sold the parts to other mechanics on a 25% commission. Still not a bad money. at the end, we got around $1,000 from the junk. Readers, do you make your car work for money? Or, like mine, your car is just another money draining machine? Love this! I think people should spend more time finding creative ways to monetize assets they own primarily for personal use. I think a pickup truck is good investment for guys (or girls) who don’t mind delivering large appliances, furniture, etc. It’s a great way to pick up some extra cash. I’m not ready to rent out my car. In some states, you’re strictly liable for the damage caused by your vehicle. I thought I read in the fine print of one of those peer-to-peer car sharing services that they only insure the person who’s supposed to be driving the vehicle. So, what if that person loans your car to a friend and they wreck your car or cause expensive damage to someone’s property? Then what? I think it’s really creative to do this and I also like to think of my car as a money saver. I like how it is comfy, saves gas, and it is spacious for a small car (I have a Toyota Corolla). I would like a fast luxury car, but then I’d have to worry about parking it and repairing it if anyone decides to scratch it, and I’d be spending more money on gas. Like Shawanda said, people should spend more time monetizing their assets! Some great ideas! Why not let your car pay for itself? These are all very interesting ways to make money off your car! I love the school idea. Who says a car is not a good investment? Great ideas how we can earn extra money with our car. Thank you for sharing! You are most welcome Barb! These are some very interesting ideas to make extra money with your car. You have to be careful too because you will need to add extra expenses though too like business insurance. Your personal car insurance most likely will not cover you if you use your car for business purposes. I agree with this. Most most of the options would have you drive extra miles, which means you will have more maintenance costs. Also, more miles means more wear and tear and possibly needing a new vehicle sooner. You’d really have to do an in depth analysis to see if this is actually worth it. Paid advertising. Now that’s an intersting idea. And it’s at no “cost” to me. They just slap their ad up and I just go about my normal day. That sounds like a pretty sweet deal! THanks for the tip! Very special ideas, using your car creatively to make extra cash. If you living in the Dallas / Fort Worth area getting paid while just driving around is reality. Check out our website. You register your car with us by answering some simple questions. Based on the information, we link you to a local business owner to carry his ad on the rear window of your car. As soon as installed, you receive regular payments. Each and every month. Yeah, it’s that simple. how do I get to advertise stuff for companies? Love the idea of advertising with your car. While this is a little less direct, you can also use your car to make money by taking advantage of apps like Gigwalk which pay you to go around and take pictures of stuff (typically you can take the picture with your smartphone). nice idea ! but it depends on the city where you live ? i knew some of the people using cars for pizza delivery and rent is always best. thanks for sharing your ideas mate ..
Amazing tips to utilize your personal car and make money. Most of the time my car was sitting idle in my garage. I think these are some cool ways to make money using the car now. Thanks a lot. These are really cool ways to make extra money from car, but do see you have compiled your vehicle with proper car insurance and other legal aspects too.